Our client portal has recently been updated with a more modern, simplistic user experience design. New features have also been added to allow easier access and uploading ability to payments, documents and bank accounts. Another major update to the client portal is the vertical navigation menu on the left side. In the old client portal, the menu bar was located horizontally on the top. Instead of the client portal being optimized mainly for desktop, the vertical navigation menu has been optimized for mobile devices to allow a seamless and productive experience on the go. 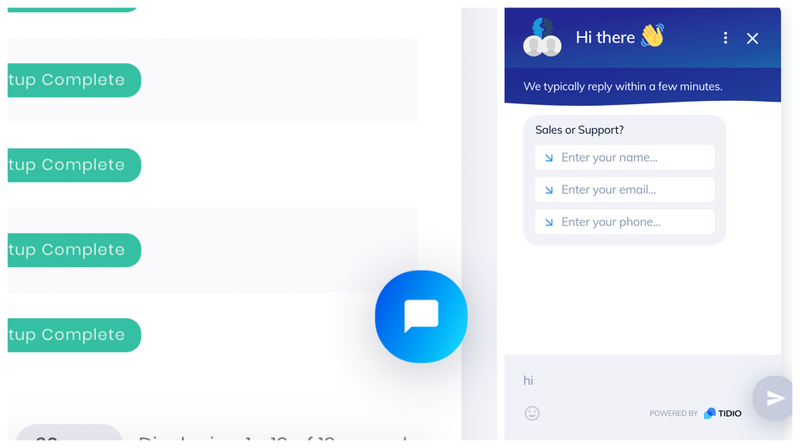 If you have any urgent questions, press the chat icon in the right bottom corner to speak with a “Chatbot.” The bot is an automated computer program that replies within just a few minutes to answer questions and directs you to our sales or support team quickly. The new dashboard for the Smart Payables Client Portal contains many of the same features but with an updated design and new arrangement of content blocks for a fast, more efficient experience. Payments By Month – the dashboard allows users to see a graph that contains statistics for the total amount of payments added that month and the total amount for the previous year. Payments by Method – this feature shows which method the payments were added with for the previous 3 months. Adding a document in the client portal is now easier than ever before. The “Add Document” button can now be found in the sub-menu of the “Documents” tab in the vertical menu bar. The new documents section of the Smart Payables Client Portal contains many of the same features but with a simpler design and easier to follow directions. “Upload Batch Document” is also located in the new sub-menu of the “Documents” tab in the vertical menu bar. Adding a new bank account is similar to the previous layout but also has an updated design, better user experience navigation for mobile devices. The “Add Bank Account” button can now be found in the sub-menu of the “Bank Accounts” tab in the vertical menu bar. “Upload Bank Accounts File” and “Check Proof” links are also located in the new sub-menu of the “Bank Accounts” tab in the vertical menu bar. For more information or questions about the new client portal, contact us directly at (720) 287-0030.